Belfast Health and Social Care Trust provides health services to 340,000 citizens. 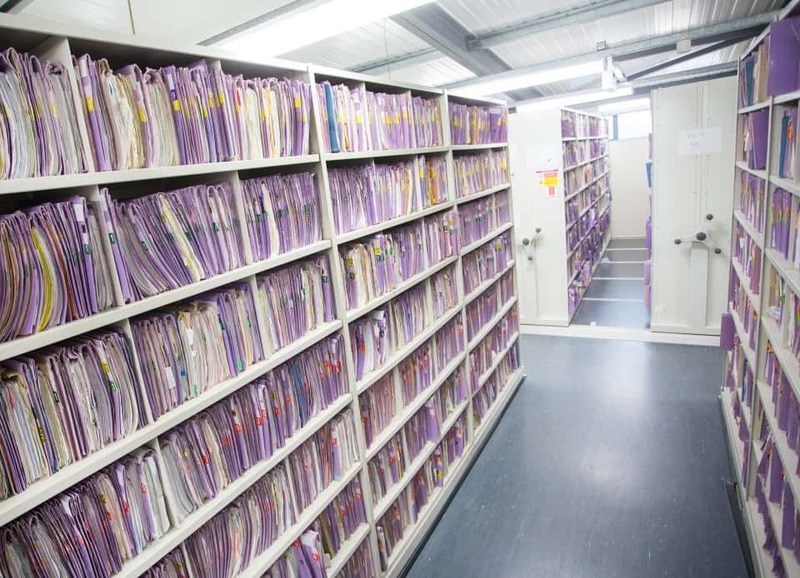 It stores, retrieves and manages almost 4,000,000 health records across six record libraries and with external storage providers. To become paper-lite by 2020, the Trust had to replace manual barcode entry with automated RFID-based document management. Therefore, it turned to Kathrein ARU 3500 IoT gateways and the Kathrein CrossTalk IoT suite. 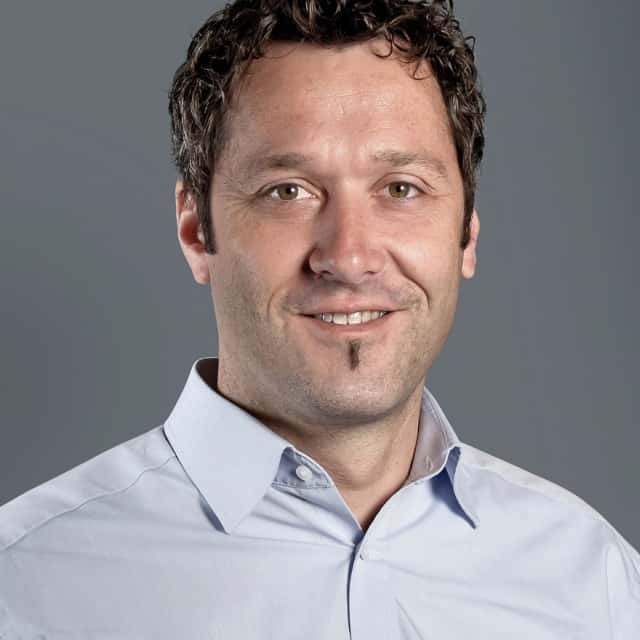 Kathrein Solutions is revolutionising the way of integration of RFID, AutoID, sensors, and RTLS technologies in IoT Solutions, and has become a recognised innovator and market-leader in the AutoID sector. Digitisation progresses at a fast pace By broadening their wireless IoT portfolio, Kathrein Solutions wants to build on previous successes as a partner for digitisation projects and sustainably establish business and solutions in new markets and sectors. Not a day passes without multiple newspaper headlines focusing on digitisation projects. This internationally-visible market development matches exactly with the new orientation of Kathrein’s RFID branch that was initiated more than two years ago. With the acquisition of noFilis, Kathrein Solutions created an IoT solution provider that can realise single-source digitisation projects. RFID & Wireless IoT Global talked to the management about targets and benefits in the field of IoT. Jürgen Walter, Head of Solutions and COO of the Kathrein Group, wants to build on previous successes as well as to create and sustainably establish business in new markets and fields. Thomas Brunner, Managing Director of Kathrein Solutions, underpins these goals by focusing on the development and integration of IoT solutions for global vertical markets. At the centre of attention are solutions for vehicle identification and healthcare applications. The CrossTalk IoT software adds to the hardware portfolio. In the interview, Martin Dobler, CTO of Kathrein Solutions, illustrates why flexibility and scalability of modular platforms are the key to future-proof digitisation applications. Customer Satisfaction with Service and Quality Millions of pieces of luggage are misrouted every year, which means a lot of work and additional costs for the airlines. A new technology at the airport – and RFID tags attached to the suitcases – will change that. The quality of the baggage tracking has increased greatly over the last few years. Nevertheless, airlines and airport operators are still faced with the task of handling the ever-increasing number of passengers and luggage without any losses, while at the same time meeting passengers’ expectations for transparent baggage tracking. White paper by Kathrein Solutions. Real-time Location system "K-RTLS" launched at LogiMAT 2019 Kathrein Solutions GmbH, which specialises in RFID/AutolD solutions, is presenting the new RTLS system (Real-Time Location System) for the first time at the LogiMAT logistics trade fair. The RTLS system combines the exact position which is available in real time with the unique identification. Kathrein Solutions GmbH exhibits in hall 4 at stand G40. The new real-time localisation system "K-RTLS" combines high localisation accuracy in an industrial environment with unique technical features which allow a broad application of the system in various applications. The system consists of the mobile transponder, the permanently installed nodes and the CrossTalk loT software. Quick and easy installation With the new ARU 2400, Kathrein Solutions is launching a RAIN RFID reader on the market that is as easy to install as it is to operate! With its slim, smart design, durability and functionality, the reader can be used in a variety of applications. 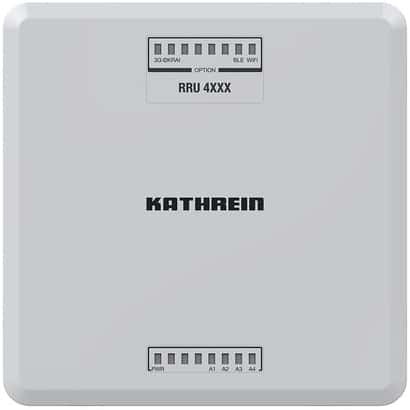 The powerful RAIN RFID interface known from Kathrein and the robust design are also present in this 27-dBm class reader. The ARU 2400 offers new mounting and connection options. The housing of the ARU 2400 can easily be installed in existing shelves using the mounting points for the so-called ITEM profiles. The plugs and sockets are just as easy to operate. For both the power supply and the terminal block of the digital inputs and outputs, a terminal strip with screw terminals – which allow direct cable installation – is installed. Come and see the new ARU 2400 at the Kathrein Solutions booth at RFID & Wireless IoT tomorrow 2018 on October 30 & 31 in Darmstadt near Frankfurt, Germany! 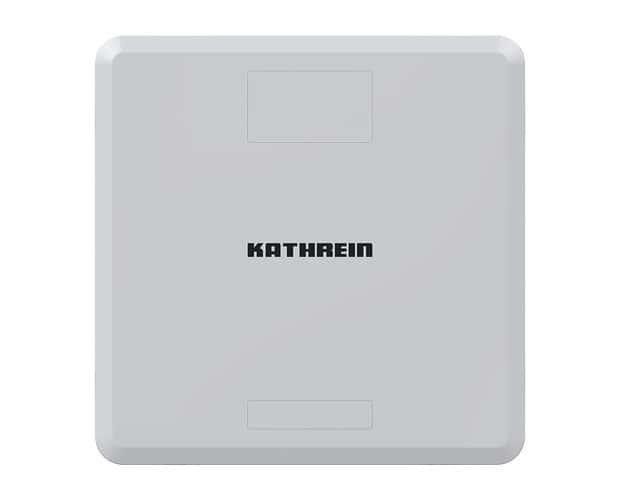 Kathrein has launched the new RAIN reader firmware with tremendous features. Due to new high-speed profiles, a total number of more than 750 real tag reads per second is possible! In addition, we have increased the reader sensitivity by adding a powerful carrier cancellation which impresses with extremely fast tracking of the carrier data. To use the new feature, please download the reader firmware 3.02.00.1354 and the latest ReaderStart software 3.02.00.2744. Kathrein is starting a global collaboration in the field of electronic vehicle identification (EVI) with Tönnjes E.A.S.T., the leading German licence plate manufacturer. Both companies have been working together for years in the development of new technologies. In their joint projects, Kathrein contributes its expertise in the field of RFID technology, Tönnjes E.A.S.T. is a specialist for the integration of the required transponders into vehicle licence plates or windscreens.